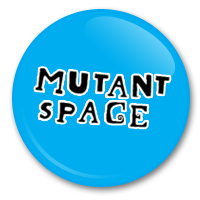 The official deadline has now passed for entering a short film to the Mutant Shorts competition this June..but late entries will most probably be accepted anyway! Although all films will be screened, there will of course be a competitive edge to the event, with the Cork Film Centre sponsored prize up for grabs. The prize consists of 5 days worth of equipment rental from the Film Centre. Said equipment will be a HDV camera, a boom mic and a lighting set. Maximilin Le Cain from the Film Centre and Dan O’ Connell from Egomotion will be judging on the night. Don’t forget that all are welcome to attend the screenings, filmmakers or not, on the 17th. Entry fee is€5. Also don’t forget to join the Facebook event page! ← Mutant Rooms: A Sitting Room.